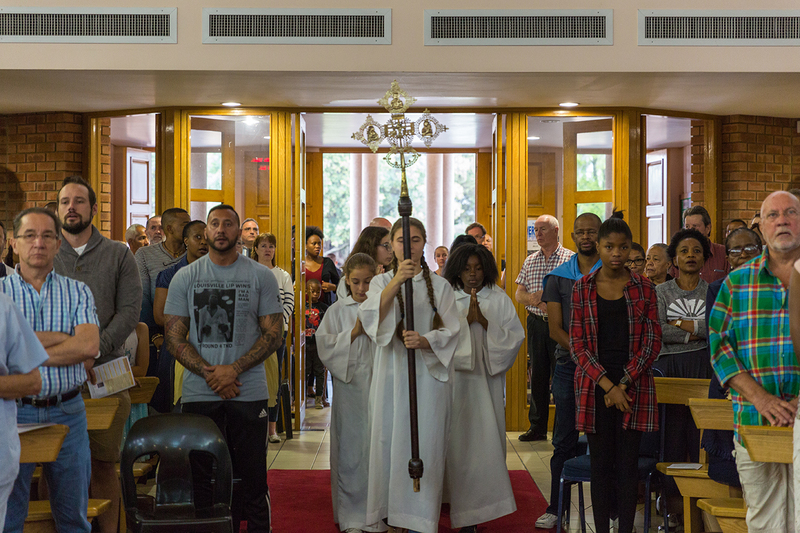 The various societies and sodalities at the Bryanston Catholic Church provide an avenue for committed service and worship. Some of these activities spread across the Diocese, some operate from the Parish and some are interdenominational, such as Alpha. The school offers sound Catholic education for girls from pre-school to Matric (Grades 0 to 12), under the sound guidance of the Ursuline Sisters of the Roman Union. It was founded in 1966 and has built a solid reputation for academic excellence and cultural and sporting achievement. The school offers a sound Catholic education for boys in Northern Johannesburg from pre-school to Matric (Grades 0 to 12). The Society is an international Catholic organisation of lay people founded in Paris in 1833 by Frederick Ozanam and his companions, under the patronage of St Vincent de Paul. It seeks in a spirit of justice and charity to help those who are suffering. It does this at an interpersonal level through the involvement of its members. Currently, poor families, street children, Aids sufferers and the elderly are being assisted through various fund-raising activities. Nationally, the Knights of Da Gama is a Catholic organisation whose code and actions ensure the spreading of the Kingdom of Heaven on Earth. Funds are raised for needy causes of any denomination. Birthright – which provides assistance to mothers-to-be who may otherwise be considering abortion – is supported together with various old age homes as part of our commitment to the elderly. In Bryanston, the Knights meet monthly to discuss and organise family social events and fundraisers for charity, notably Aids orphans and Nazareth House. The main annual event is the ball and golf day, which raises in excess of R100,000. Social events include parish fun days, potjiekos and bowls competitions, breakfast gatherings and rosary evenings. New members are welcome. The CWL is an international fellowship organisation that enjoys the support of the SACBC. Bryanston Branch has 23 active members who meet on the second Saturday morning of each month after the 08h00 Mass. Projects include the CWL Adoption Society, Family and Community Service, St Ann’s Retirement Home and a crèche in Eldorado Park. Welcome new church members to our Parish. Facilitate the ingetration of new/unknown parishioners into the Community and help them to get involved in Church activities. Create a system of friendship, practical and emotional support. Run a prayer cell group that encourages growth in a Christian/Catholic faith. The group is also involved in charity work in community. We have a project to assist poor mothers/ladies, who have been relocated from Zevenfontein to Cosmo City, by getting them involved in income generating activities using an empowerment model. We meet on the second Saturday of every month at 3 pm at Brescia House Domestic Science room and anyone is welcome. 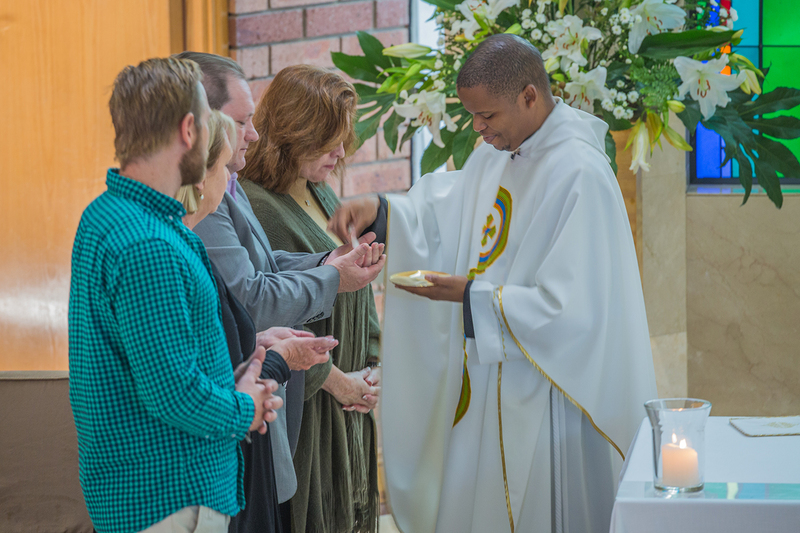 These groups – or Home Cells – build a caring community in the Parish. Regular (weekly if possible) meetings in members’ homes are held to improve our knowledge of the Bible by sharing the Gospel. We pray together and form friendships. By joining a group, you become more aware of Parish activities and find ways to help your community. The Alpha Course is open to everyone interested in discovering what Christianity is about or anyone wanting to strengthen their faith. Come, relax, eat, share your thoughts and explore the meaning of life. The Alpha Course usually meets once a week for 10 weeks and includes a weekend getaway. Each session people enjoy great food, laughter and learning in a fun and friendly atmosphere where no question about life or God is seen as too simple or too hostile…questions like “Who is Jesus”, “Why am I here”, “Where did I come from”, “Where am I going”, and “How can we have faith”. Join us or tell a friend about the Introductory dinner and find out “Is there more to life than this”. Please take invites from the church foyer. For catering purposes please call Parish office during office hours on 011-7061314. For more information call Ewa 074-103-5816. The St Thomas Aquinas Bookclub meets to discuss new Catholic literature and to share their library on the second Saturday of each month at 14h00. The St Cecilia Sodality focusses on singing in the Church. Members also visit the sick and attend funerals of fellow members. This Sodality is a prayer group that also assists with many duties in the Parish. This Sodality is a prayer group for women. This Sodality visits the homebound to share our Faith.